Talented Artisans carefully mold each Precision-Cut Rubber Patch to exact specifications. PMS color matches, Extreme-Cut Shapes and sizes from 1/4” to 17”…Rubber done the right way! Precision-cut rubber patches have become more and more popular over the past few years and it is our goal to remain the leader in high quality, cutting-edge in rubber and soft PVC patches. 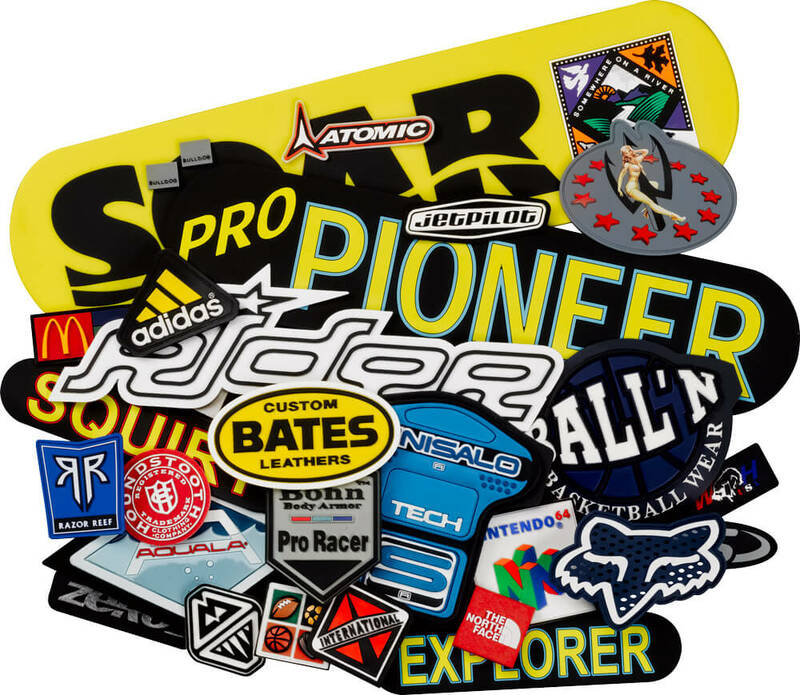 Rubber patches are excellent for caps, jackets, surf shorts, snowboard apparel, neoprene products, backpacks, car mats, and other products where you require the “high tech” look and durable results. We can also mix mediums by combining rubber, mesh, and other substrates, to create the ultimate rubber patch. Enter in your custom patch information below, and we will have a quote for Soft PVC & Rubber Patches to you within 24 hours. It's that simple!